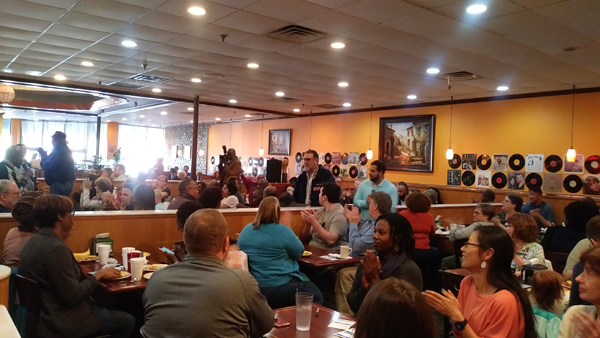 Last Saturday’s Gwinnett Democratic Party’s Post Election Victory Breakfast was a packed house and full of excitement, energy, and enthusiasm! We filled up almost the entire restaurant! 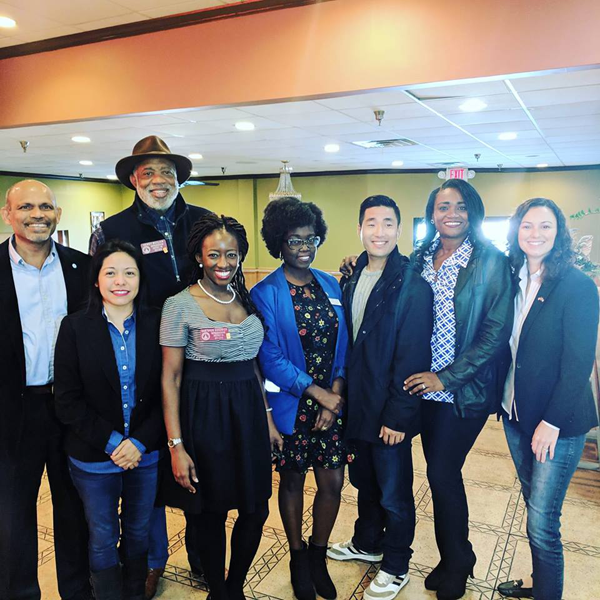 They will join me, Sam Park (HD 101), Pedro Marin (HD 96), Brenda Lopez (HD 99) and Senator Elect Sheikh Rahman (SD 5) in the legislature. We also have two Board of Commissioner seats, Ben Ku (District 2) and Marlene Fosque (District 4). Everton Blair won a seat on the Board of Education in District 4. Voter turnout was so good that some races are still being decided and we have two state wide runoffs on Dec 4, 2018 for Secretary of State – John Barrow, and Public Service Commission Lindy Miller. Don’t forget to vote! From left. 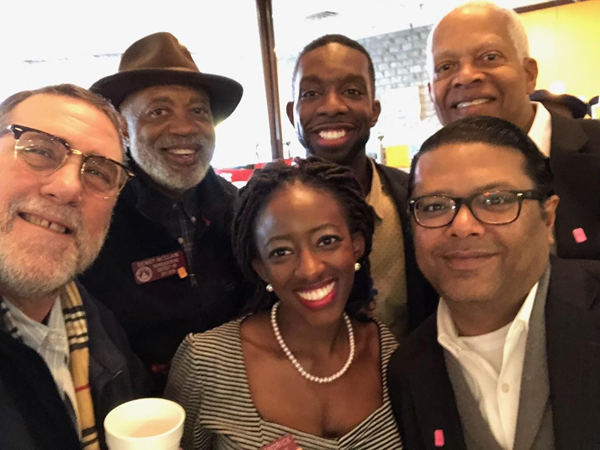 Rep Pedro Marin (HD 96), me, Rep Dar’shun Kenrick (HD 93), School Board Elect Everton Blair (district 4 ), Congressman Hank Johnson (US House District 4 ) and Farooq Mughal. Error: Error validating access token: Session has expired on Tuesday, 02-Apr-19 08:30:49 PDT. The current time is Friday, 19-Apr-19 23:58:33 PDT.